The photograph (left) shows the window in the Hall of Gonville and Caius College, Cambridge University, erected in Fisher's honour. 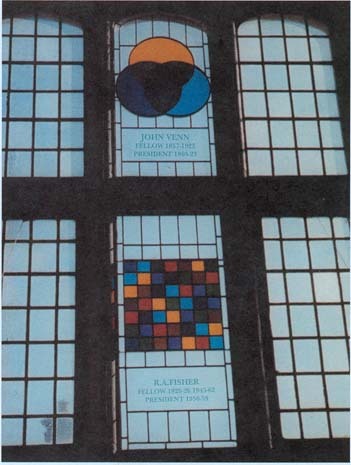 Top: a pane commemorating John Venn (and his Venn diagrams). Bottom: a pane depicting Fisher's latin square experimental design.